Food is one of the best reasons to travel, and the grilled fish is a reason you should travel to Melaka. Malaysia’s people are wonderful already, but one area they specifically excel in is taking care of large grills full of fish. Some local eaters at the restaurant even claimed, this is “the Best Seafood restaurant in all of Malaysia.” In short, Ikan Bakar Hj Musa is one restaurant in Melaka you just can’t afford to miss. The day’s fresh catch is brought out, and you get to choose every item on your own. 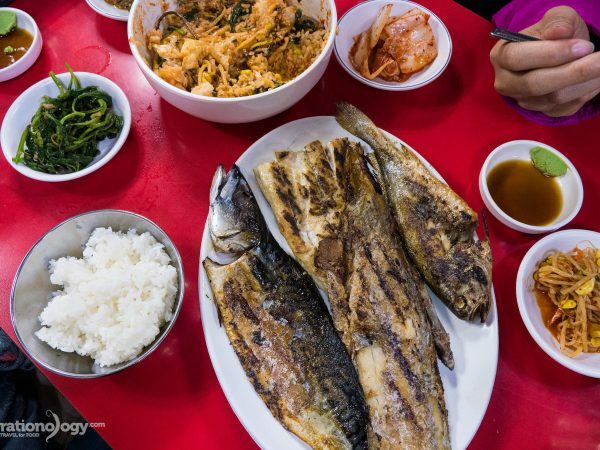 Whether its the rice, a simple sauce, or even an entire giant fish still swimming in its pen, aside from the actual cooking, you pick and choose pretty much every part of every meal yourself. Ikan Bakar Hj Musa is no different, and part of the meal experience here is to start by approaching the mountain of fish in front. Really take your time to pick out the fish you want, and when you’re done, hand it all over to the chef, and watch him go to work. 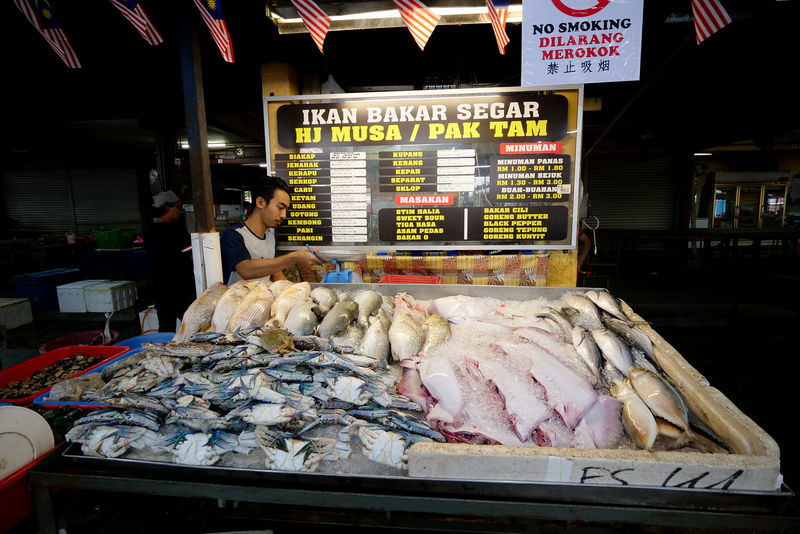 A giant and daily selection of freshly caught seafood, Ikan Bakar Hj Musa is most famous for their grilled fish. In total they have a dozen types of fish, and other types other seafood as well, just waiting for you to choose. On the Left, our Mackarel, and on the right, a huge slice of Stingray! From the various tubs and ice trays piled high, you can inspect each fish by hand before tossing it in your personal plastic lunchbox of seafood. The items they should have daily, are in a list on the black menu board. The prices are given by 100 gram weights, and you simply line up your picks next to the scale, they record the numbers on your bill, and you move right along to the next step. If there’s no one else in line in front of you, it might not be obvious at first – but there is a huge benefit to serving food like this (besides the abundance of delicious fresh seafood of course). I’ll just tell you straight away – the local way to eat here is to choose not one, but several different seafoods, and you can also try an assortment of cooking styles as well (for which there is no charge, but we will get to that in a minute). Therefore, don’t be at all surprised to see a trio of innocent looking young ladies, delicately selecting fish… but then far outdoing you in the size of their order (it happened to us… twice!). Note**: While waiting for your own fish to grill, walk about 100 meters out and past the restaurant to look at all the colorful fishing boats lining up at anchor, all the fisherman relaxing after a hard morning’s work. After filling your basket (several baskets more like it), move to the second step of your seafood feast – picking your style of how your fish will cook. I will list the individual orders in detail down below, but first I’ll give a general idea of how the choosing/grilling process may look. Our first selection of shrimp came out to a half kilo (I think it was a half-dozen shrimp), and we asked for them just salted and then grilled. 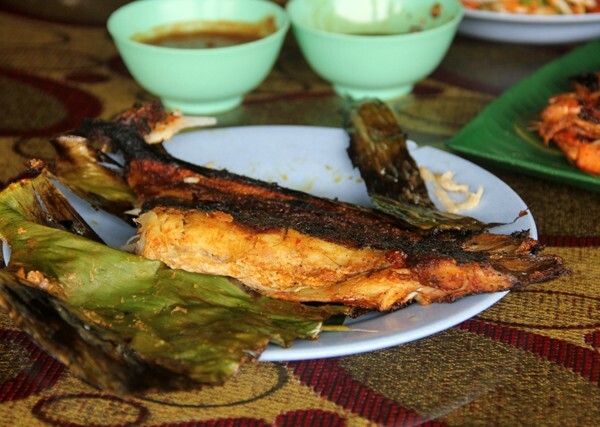 Our bigger fish (a medium-size Indian Mackarel) we wanted on a banana leaf with sambal, then also grilled as well. Next came a single large squid, sliced up and deep fried, which is also something that comes with its own sweet and spicy dark soy dipping sauce. Finally, to top it all off, the must-order dish of stingray (‘ikan pari’)! This we ordered grilled, just like the fish, and its also just smeared and covered with sambal, then finally wrapped Malay-style in a banana leaf. All of their grilling is done on a huge bed of coals, right out in the open for all to see. Quite the perfect way to make any and all customers just deeply and desperately hungry, the restaurant slowly fills with rising waves of juicy aromas. A very popular fish in Malaysia is the Indian Mackarel. 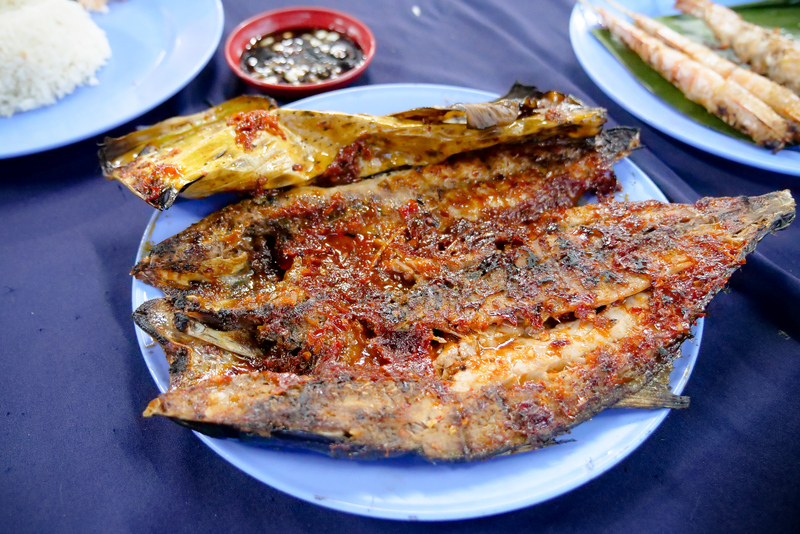 A larger fish than the Thai favorite, shorthead mackarel, a common way to have this is the traditional style of Ikan Bakar (grilled fish, like the restaurant’s name). After choosing your fish, the chef will slice it down the spine, and lay it spread open over the hot charcoals. A few turns are necessary to even out the heat on both sides, and the searing heat from those coals has the fish done in less than 10 minutes. After the grilling, the chef will cover one side in sambal before turning it over onto a banana leaf, then covering the other side with sambal as well, before finally delivering it to your table. The Sambal turns to Chili Jam! As the fish meat is still so hot, the cool sambal coming into contact with it sort of cooks some of the sambal immediately. It turns into a jelly-like consistency, almost like a chili jam, which is gloriously spicy, slightly fruity, and nicely pungent from the mashed up mix of chili peppers and shallots. 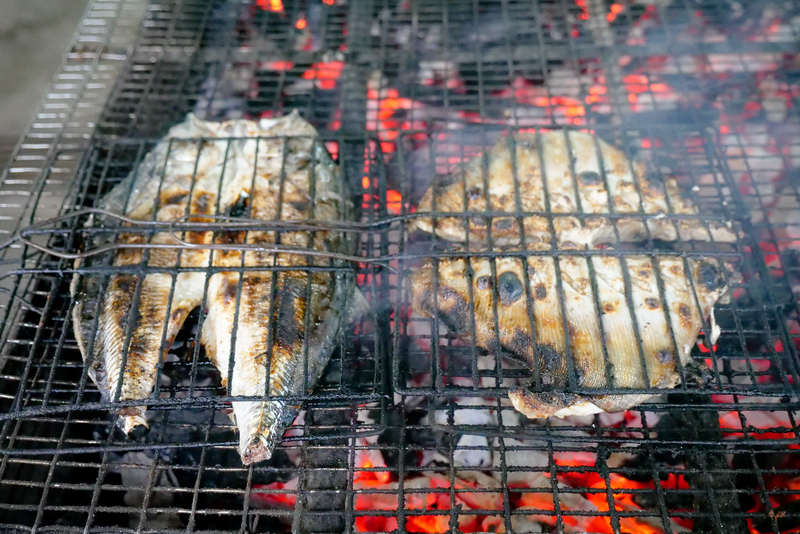 Take a chunk of fish from whatever part of it is nearest to you, but just be a bit gentle in order to not get any bits of charred skin in your first bite (quite a challenge to restrain yourself!) The fish’s own fat in the layer closest the skin usually breaks away cleanly, but its always better to go gently until you learn how each fish’s meat organizes itself around the framework of bones. Put the chunk of fish onto your rice, use a spoon to scoop up a bit more of the sambal, and then maybe give it a squeeze of fresh calamansi (the small citrus fruit), a good ratio of course is one squeeze for each bite. I love the style, stretching the shrimp out like this – faster to grill, easier to eat. Great! 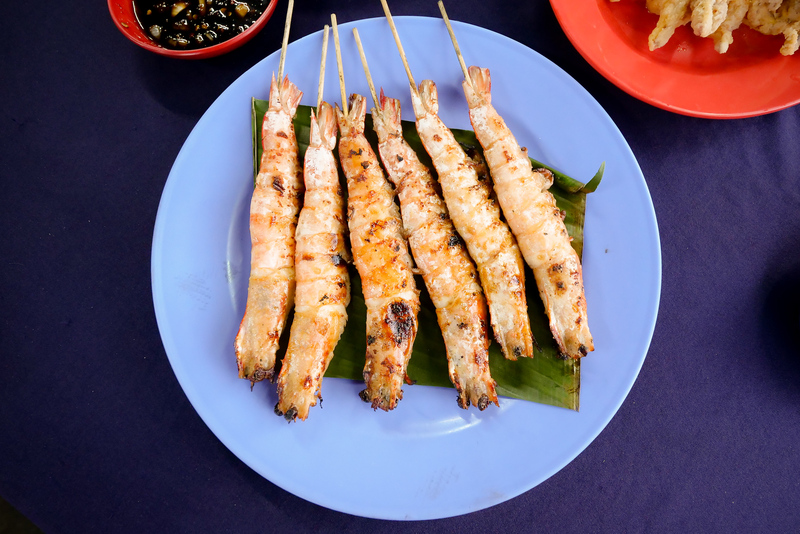 One of the options that tastes best for these shrimp is to simply have them salted, and then grilled – these also come with their own type of sambal (sauce). The shrimp are nicely large already, but the chef chooses to stretch them out on the skewer in a way I have never seen before. I am not sure if it is due to this individual species of shrimp, or that chef’s trick of pre-bending the shrimps back before grilling, but the shrimp are incredibly easy to peel. The skin is so thin that at first, I thought you might just eat the whole thing! But try not to eat the skin/shrimp scales, you do need to peel them off first. Each crispy scale section though, comes off with just a pinch between a thumb and forefinger. Peeling these is so easy in fact, that this dish simply disappears – everyone at the table politely yet rapidly dividing up the shrimp. Each section of shrimp just tastes great on its own, with a spoon of rice, but the dark sauce that comes with it is nicely sweet and spicy as well. That mature dark soy sauce is full of diced purple shallots and green onions, it is quite sweet, but nicely vinegary as well, and goes great with the bites of juicy, salty shrimp. The stingray is definitely a highlight of any Malay-style seafood feast, and there’s no way I could pass by the huge ray up front without ordering a plate for our table. (By the way, stingray this large has to be cut into four equal portions, which is why it might not be so recognizable in a serving tray). The same styles of cooking are available to the stingray as they are with the ikan bakar grilled fish – and we chose ours to be first cooked over the charcoal, then bathed in chili, and finally wrapped in a banana leaf before returning to the grill again for a final few minutes of cooking. The sambal just gives the most gorgeous and gooey outer layer, its almost like a cushion to bite through before getting into the meat. There is just so much grilling and smoky flavor in the sauce, as well as a level of spice and pepper flavor that just makes any tongue and tastebuds dance for joy. The flavor is coming from the local favorite combo of red long peppers, and small hot chilies, and is one that just might move you to a few moments of slightly awed, silent laughter. You are going to want to scrape every last bit of sauce from the outer skin, from the banana leaf, get it all onto your rice as you peel off the long strips of stingray’s grilled flesh. Note: The bones of a stingray are quite unique, and while I think they are harmless if you happen to swallow a few by accident (very understandable, this stingray was insanely delicious), local Melaka people do not eat the bones. 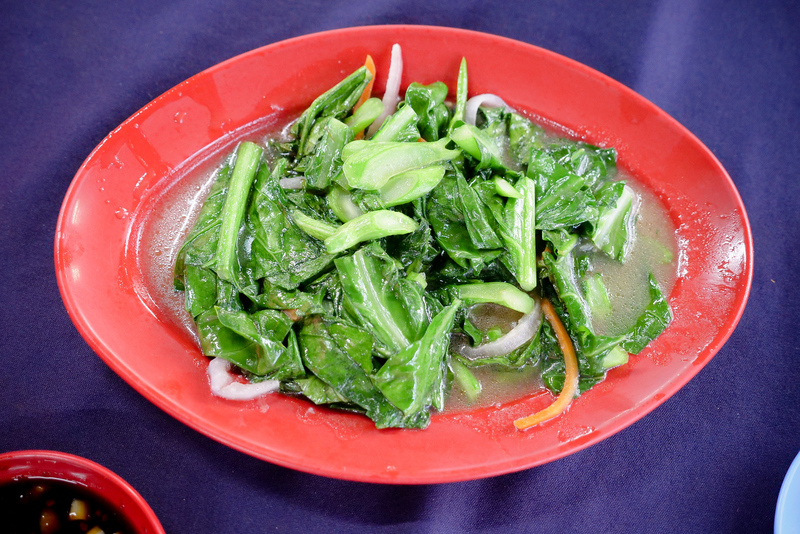 Any amount of grill options this extensive always goes great with a simple plate of fresh green vegetables. We asked for ours fried Chinese style, over extremely high heat, but the chef definitely gives it a Malay twist by adding a few chops of flavorful sides as well (some carrots and red onions in this case). I can’t help but appreciate here, just as amazing as their food truly is, also the fact that each meal takes place in a setting of such incredibly laid back feelings. The seaside feelings of relaxation which so perfectly accommodate everyone visiting this restaurant just elevates this meal to perfection. Its Delicious, Its Relaxing, Its purely just Seafood Fun. This is honestly one of the best ways to mix both fun, food, and relaxation, and by no means was this meal unique to my overall Malaysian experience. This is truly how local Malay’s love to eat all their seafood, anywhere you go! On each of my previous visits to Malaysia as well, without fail there was always one evening of the trip where I found myself well taken care of by a happy group of friends, taking me around to eat seafood. Leading me, and laughing with me (or at me, which is fine too), as my eyes were bulging out, over just a mind-boggling amount of freshly caught seafood, all of which we chose ourselves. In 2009, 2012, and now in 2019, it was that same comfort, the same wonderful feelings. There are few places in the world that ever out-do Malaysia with food, especially when it comes to an all-out grilled seafood feast (Pakistan though, is definitely a contender). Deep-fried seafood for dessert! The squid comes with a tangy dipping sauce. The squid are not the most flavorful thing on the menu at Hj Musa, but wow are they nicely crunchy! By itself, the deep fried-ness sort of overpowers everything else in the flavor… but to me, this was actually fine. As a part of this diverse meal, accompanied by so many other sour sambals, spicy chilies, and bitter herbs, the squid is not a place you need any wild flavor anyways. 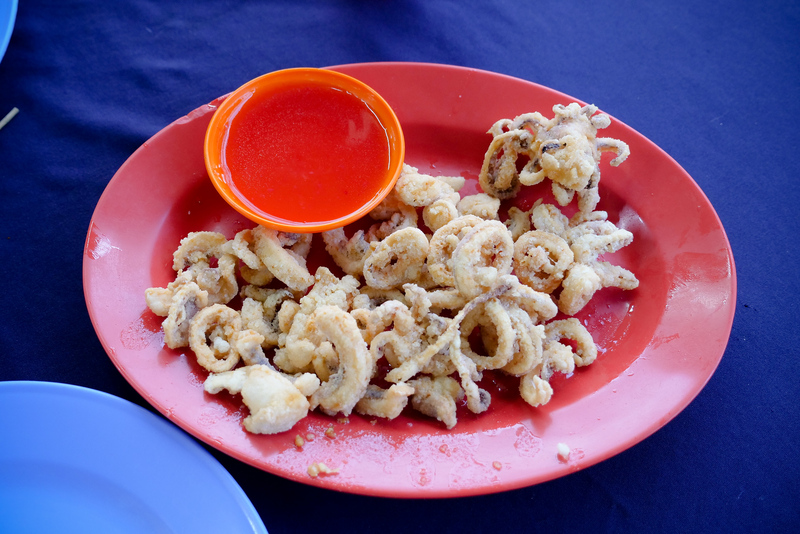 The texture of this squid (‘sotong’) is just spot-on, frying to a perfect crispness on the outside, soft and slightly bouncy on the inside. Squid cooking like this serves perfectly to compliment the deeply flavorful chili jam-covered grilled fish, stingray, any of the other items on your table for this meal. Finishing our meal was a mini-marathon, and although I was sad to see the last bit of fish go down, I can honestly say I was a bit worn-out. This can’t come as much of a surprise though, as this restaurant’s design is basically focusing on facilitating you ordering just incredible and abundant amounts of seafood. Its Wonderful. Joyous. Its a cause for a charcoal and chili, seafood celebration. Before asking for our bill, a large group of friends just coming in, came over for a quick chat. 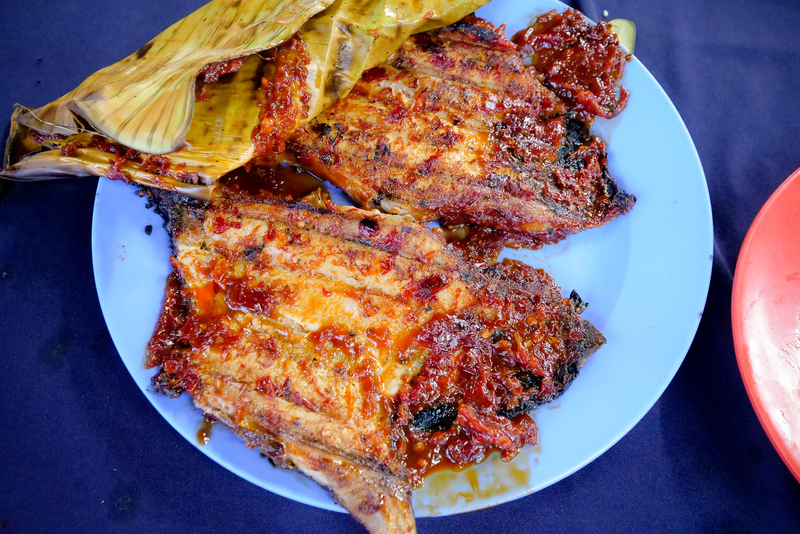 Confirming for us (their own opinion) that Ikan Bakar Hj Musa was “the best place in all Malaysia” for grilled fish and seafood, the first thing they wanted to know, was how we had found it. Allow me to repeat, this group of gentlemen all claim Hj Musa as not only ‘the best in town,’ a few of them even made sure we knew that they hold it to be the best grilled fish in the entire country! So great to hear, as there really are so many shops, all look quite similar from the front, all of these restaurants selling various grilled items down the entire beachfront area of Melaka’s coastal area. 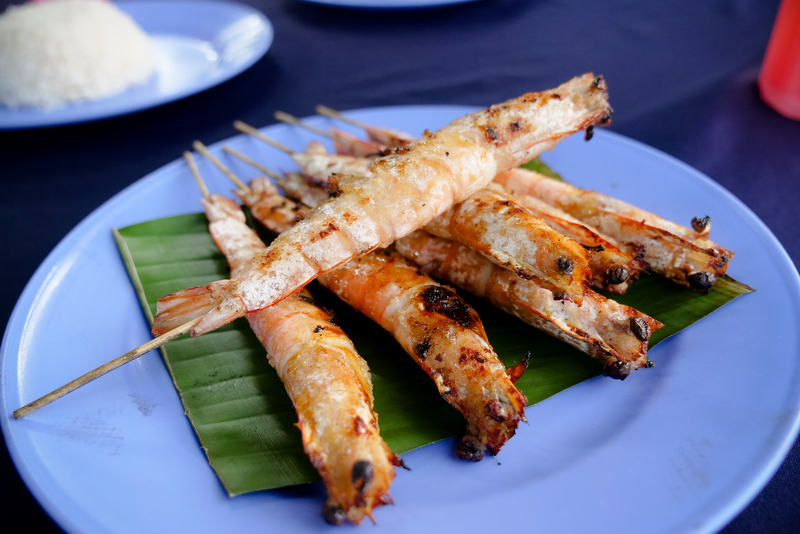 Stop by Hj Musa Ikan Bakar on your next trip to Melaka, Malaysia. Don’t miss this wonderful meal of seafood, at this gorgeously relaxing, seaside local restaurant. Pick your fish, then your sauce. Its all in Malay, but very straightforward and easy. 34 comments. I'd love to hear from you! I have searched for this kind of grilled fish everywhere and still did’nt find the tastiest of it. I would really like to visit here soon. everybody, excellent job!! celebration of life!! mark, congrats on the new sneakers and where is micah??!! I have got water in my mouth. Looks delicious and I would like to taste atleast once. I love this food ! One more delicious post. I need to try that squid! masakan malaysia memang sangat enak.. hampir mirip dengan indonesia.. dan perkenalkan saya dari indonesia.. Thanks for writing! Delicious food to be found all over South-East Asia, and you’re right for thinking that this is a food worth traveling for! Thank you, and take care! Thank you Sujit! Have a great day! Sounds Delicious. This post is really great. I’m adding this on my bucket list! Robert, thank you for the message, and I hope you have a chance to try this awesome food very soon! This is now making me hungry! My housemates are of to Malaysia at the end of the month and I’ve forwarded them a link to this article – think I might be joining them! Yes! Thats great, and I really hope you have the chance to join them Ben! There’s a lot more info on the site besides just this fish, I hope you (and your housemates) have a chance to use our website to the fullest! Take care, have a good one! Wow what a nice dinner with ikan bakar pedas.. Yummy.. It seems its a great place to visit. i like it.love the food. hank you Kavleen, yes Malaysia is one of the top destinations in the world, especially for food! Thanks for the message, take care! Thanks for great travel tips 🙂 This photos of fish looks so yummy! Thank you Geneva, have a great day today yourself as well! For a seafood lover like me and my wife, this will surely be an enjoyable trip! Thank you for the great post. I am definitely bookmarking this post for future reference. My husband and I are planning to be in Melaka in a few months and would love to try new foods and check out new restaurants. Looking at all these pictures makes me so hungry and want to get there sooner! Anya, thank you for the message! I am sure both you and your husband will enjoy yourselves immensely. So much good food, and Malaysia is just such a beautiful and friendly place, honestly one of the best in the world. In many countries they eat ray quite often and specifically they love ray fish and chips. 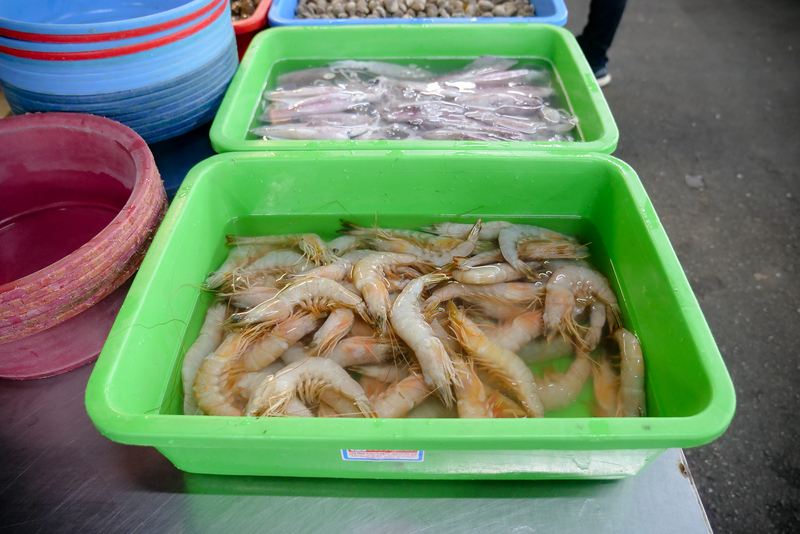 Good for sea food lover’s and specially people visiting Malaysia should try it.Really Good Article and Narration. Thank you Crispy, the taste was pretty good as well 🙂 Have a great day! Dishes are looking very beautiful. I hope one day i will try these foods. 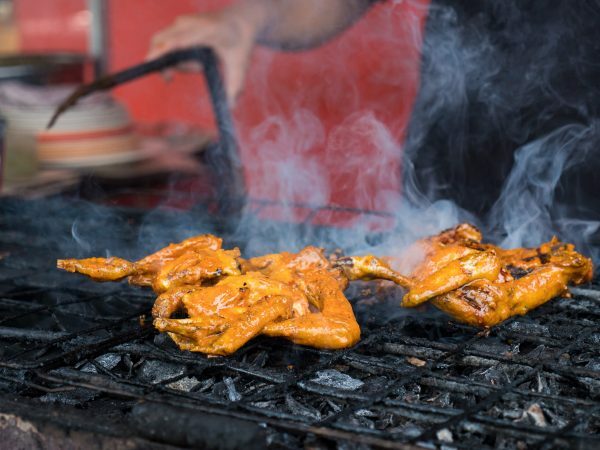 Look delicious food, i like grilled food because the taste is very tasty indeed. One question, Is the price for broiled fish there cheap? Hi, thanks for writing! Well, I wouldn’t say ‘cheap,’ but the food prices are reasonable, and many locals were eating here. 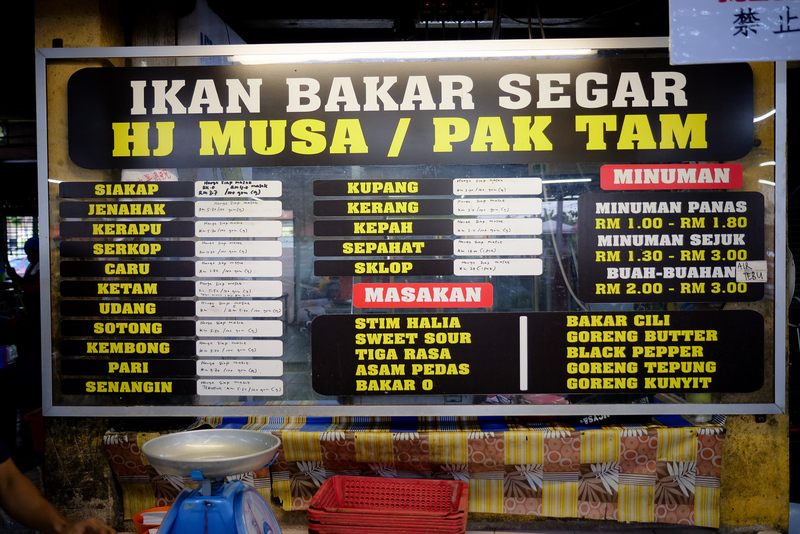 The prices are definitely on par with other food during our travels in Malaysia and all around SouthEast Asia.